Remember the motto “Always Be Prepared”? It is good advice. Especially in Seattle because we know the BIG ONE is coming. Preparing your plumbing system for an emergency or a disaster means installing earthquake straps on your hot water heater. And, if your home has gas, installing an automatic gas shut off valve on your gas line. These help protect your home from water damage, fire, and give you, the homeowner, peace of mind. Hot water heaters require earthquake straps. These heavy-gauge metal straps are fastened to the water tank and to the wall or supports behind the tank. The straps secure the tank to the wall and prevent it from tipping over in an earthquake. If your hot water heater is gas, the straps also help secure the gas lines that connect to the tank. The Uniform Plumbing Code states seismic safety straps, or earthquake straps, are a requirement for hot water heaters. This is especially significant in Seattle and surrounding areas due to our high earthquake risk. 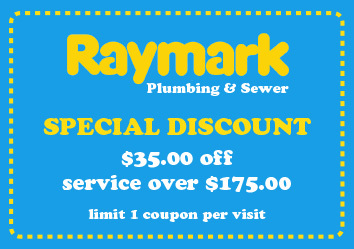 Call Raymark Plumbing and Sewer if your hot water heater does not have earthquake straps. We are happy to help you prepare for any emergency and help prevent water damage to your home. If you have gas in your home, you’ll want to install an automatic shut off valve on your gas line. This valve detects motion and shuts off the gas supply. As a result, the fumes from a broken gas line cannot collect in your home and then ignite. 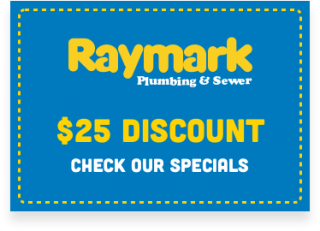 Raymark Plumbing and Sewer takes care of all of your plumbing, water, and drain line needs. Call us today at 206-430-1954.